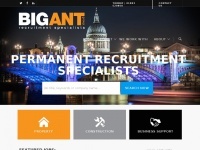 The Big Ant Group are a UK based recruitment company... We set our standards extremely high so you deal only with professionals who have the capability to understand your business. Specialising in Jobs, Vacancies, Recruitment, Employment, Construction, Property throughout Torbay, Devon, Exeter, Plymouth and the rest of the UK. 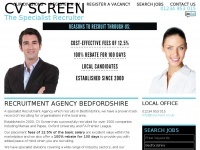 4constructionjobs.co.uk - Construction Jobs, Construction Recruit­ment, Buil­ding ..
Architectsjobs.co.uk - Architects Jobs - Architectu­ral Va­can­cies and Jobs in ..
Bedfordshirerecruitment.co.uk - Recruit­ment Agen­cies Bedfordshi­re - 12.5% fees - Call ..